There are two possible situations where you might experience an error when trying to send emails with your own website hosted at 1&1 servers. But before you continue, we highly recommend to send with the MailPoet Sending Service instead and here's why. If you were already able to send MailPoet newsletters before and suddenly, you received the " Could not instantiate mail function" error, then make sure you have set your sending frequency to send 30 emails every 5 minutes, according to 1&1 sending limit. ...that means you are using an email address which doesn't match your website domain. 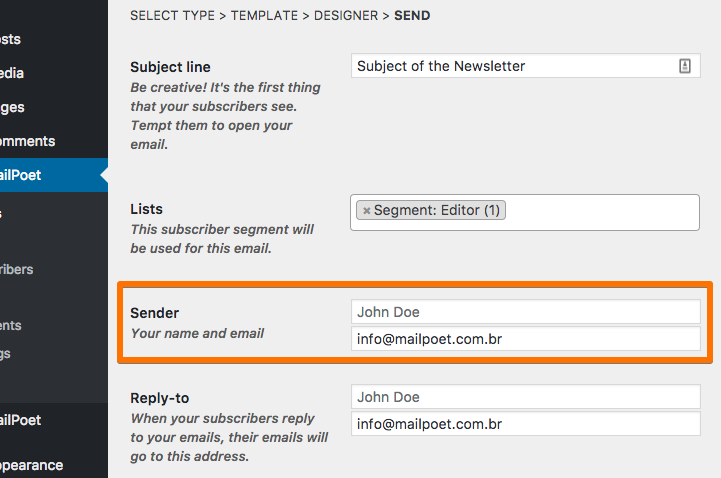 With these settings correctly setup, you'll be able to send your MailPoet emails using 1&1's servers.